Phi Pigma Kappa, one of the teams competing in the American Diabetes Association’s Kiss-a-Pig campaign, will host Gospel Explosion 2014 at St. John Baptist Church on Saturday, April 26 at 4:00pm. This star-studded concert features the Gospel Music Workshop of Savannah Mass Choir, Emmy award-winning poet Hank Stewart, Gospel Jazz Saxophonist Antonio Allen, Gospel recording artist Andrea Stevens, Gospel singer Charlesetta Blake, recording artist Porschia Mitchell and a special guest appearance by American Idol contestant Jordan Brisbane. E. Larry McDuffie and Kevin Holmes will emcee. Tickets are $10 and are available from any Phi Pigma Kappa team member, Lester’s Florist at Bull & 37th Streets, A Touch of Afrika at Sunset Boulevard off of Skidaway, and at the door. Hank Stewart is an inspirational poet, a motivational speaker, an author, an activist, founder of the Stewart Foundation (a youth leadership organization) and Five Men on a Stool. Considered one of the nation’s leading poets, Mr. Stewart thinks of himself as a liaison between heaven and paper. He is a writer who has been sent by God to render the spoken words that will stimulate people to move to new emotional heights. Stewart has written over seven publications of poetry including, The Answer released in 1993, followed by Second Chance, Be Still and Know, Daydreaming About You, Stay Focused, and Can You Hear Me. He has five CD’s and a live DVD. Stewart co-wrote two Christian Fiction novels with Essence best-selling author, Kendra Norman-Bellamy: Three Fifty-Seven A.M. and The Morning After. He has also written and performed African American poetic rendition commercials for Fox 5 in Atlanta which won Emmy, Promax and Gabby awards in 2007.
play writer Michael Matthews of Mama Don’t & Wicked Ways, in his hit musical Come out of the Rain and has been under the direction of Kirk Franklin and the Mt. Ararat Mass Choir. She recently fulfilled one of her long- time desires to relocate to her southern roots and now resides in the Metro Atlanta area. Kiss-a-Pig is the largest diabetes awareness and fundraising campaign of the year for the American Diabetes Association (ADA). The Campaign Chairman is Anne Bolyea and the Presenting Sponsor is New River Auto Mall Luxury Group. Phi Pigma Kappa is a sorority-themed team comprised of Savannah’s finest businesswomen and men, led by Marianne Ganem Poppell of Johnnie Ganem Wine & Package Shop. 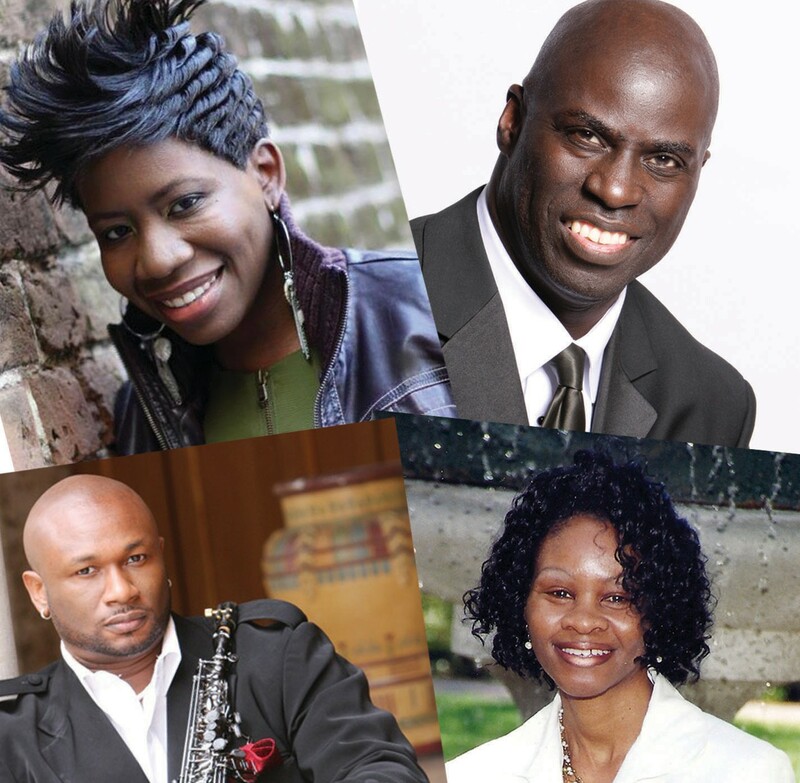 For more information about Gospel Explosion 2014, contact Tanya Milton at 912-658-2813 or tanya@savannahtribune.com. For more information about the American Diabetes Association’s Kiss-a-Pig campaign, contact Maria Center at 912-353-8110, ext. 3091 or mcenter@diabetes.org.